Can you imagine a superstar launching a Pakistani actress on India’s Republic Day? Bollywood badshaah Shah Rukh Khan burnt his fingers in the intolerance debate, saw the debacle of Dilwale followed by a megaflop in Fan. He was probably hoping that his luck would turn with the high-profile upcoming project Raees, but it appears to have run into even more trouble. First, there’s the question of the timing of the release of the film. Raees was initially expected to clash with Salman Khan’s Sultan on Eid this year, but SRK seemed to have developed cold feet after his other two films flopped. Curiously, the release was pushed from July 2016 straight to January 26, 2017 (that’s about six months, not very financially viable). While only SRK knows what goes on in his mind, reports said that he wanted to avoid the Independence Day clash with Hrithik Roshan’s Mohenjo Daro and Akshay Kumar’s Rustom; and again chose not to clash Raees' opening with other festive releases like Ajay Devgn’s Shivaay and Aamir Khan’s Dangal. Sholay’s Gabbar Singh famously said, “Jo darr gaya, samjho mar gaya (he who is afraid is as good as dead)". That now appears to be the fate of Raees. It was as it is a risky proposition, because it features a Muslim underworld don with an all-Muslim star cast. Dons are no longer cool in India’s new climate. On top of that, it is based in Gujarat, the home state of Prime Minister Narendra Modi. You can see how it will ruffle a few feathers. Raees is supposed to be loosely based on the life of bootlegger Abdul Latif, who was wanted in dozens of cases of murder and kidnapping. That’s okay, but he was also a suspect in the 1993 Mumbai blasts case — a risky bet in today’s politically-charged climate. To make matters worse, the producers were also slapped with a defamation case by Latif’s son. But what makes it most controversial is that its heroine happens to be Pakistani actress Mahira Khan. SRK tried to launch Mahira in India with the 2015 Pakistani film Bin Roye. That was stopped in its tracks by Raj Thackeray’s Maharashtra Navnirman Sena (MNS). Initial reports claimed Mahira had been dropped from Raees and would be replaced by an Indian heroine. Now it’s strike two by the MNS because they have successfully campaigned for the exit of all Pakistani artistes and may theatre owners have agreed to boycott all films that include them. The states that will participate in this ban are Maharashtra, Karnataka, Gujarat and Goa. That is disastrous indeed. More may follow. In fact, SRK finds himself caught right in the middle of the Pakistani trilogy. He has a cameo in Ae Dil Hai Mushkil releasing on October 28, which stars Fawad Khan. He stars in Dear Zindagi, releasing on November 25, which has Ali Zafar. Then there’s Raees. Can you imagine launching a Pakistani actress on India’s Republic Day? It really can’t get riskier than that. 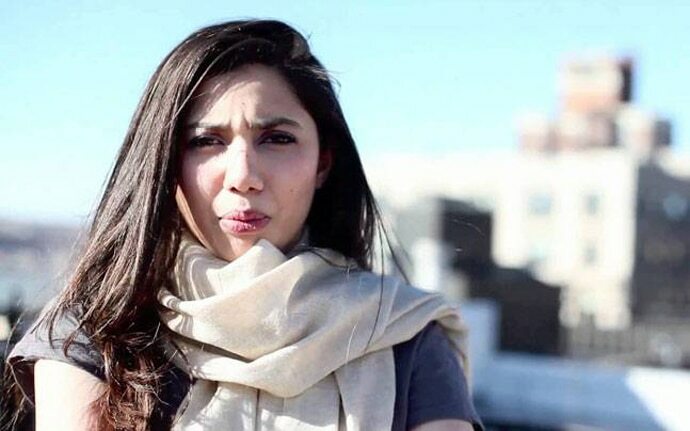 Initial reports claimed Mahira had been dropped and would be replaced by an Indian heroine, but at the time of writing this article, the producers said the film would feature Mahira. It’s a Catch-22 situation. If she is replaced, it’s surely a setback. If not, just imagine the MNS on Republic Day. They must be itching for strike three. And it’s not that everything else is going fine too. There was the US airport fiasco where he was detained for the umpteenth time and his endorsement of Reliance’s Jio was also met with some controversy. While some questioned his ethics, Twitter went berserk with the warring hashtags #JioOnlyForSRK and #JioRemoveSRK. SRK can’t even do a simple endorsement anymore. Sigh. The climate is fast-changing in the backdrop of the Uri attack and surgical strike and Bollywood no longer stands united for SRK. It started with #BoycottDilwale in 2015 and threatens to go all the way up to #BoycottRaees in 2017.